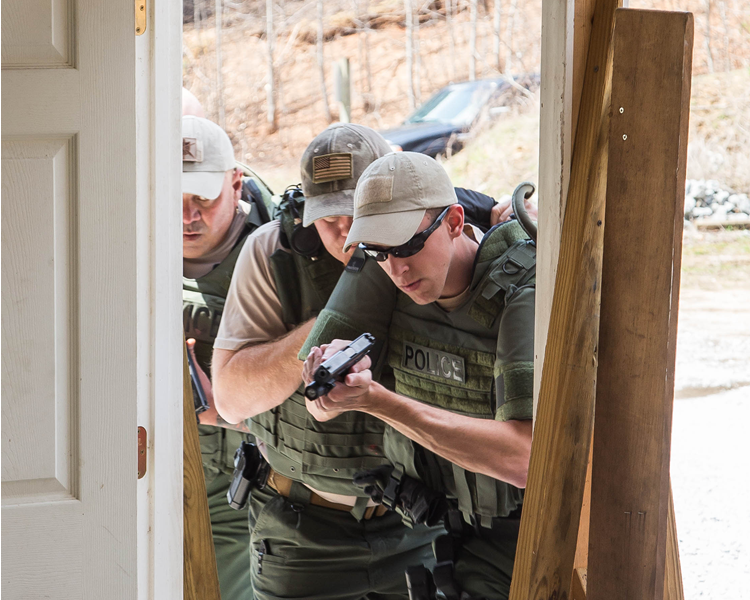 The Marion Police Department's Special Response Team (SRT) was formed and works with the McDowell County Sheriff's Office SRT to enable the departments to better respond to critical incidents that occur within the City and McDowell County. 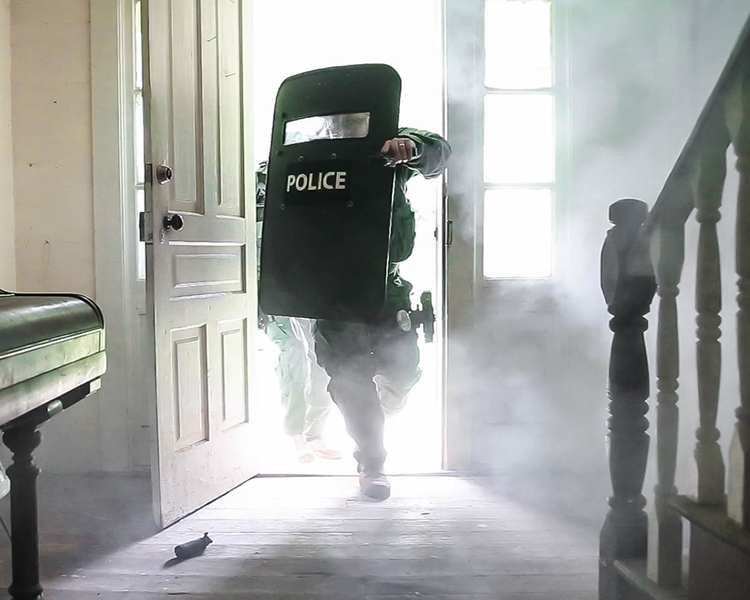 These types of incidents have included barricaded suspects, hostage situations, armed persons not responding to police officer's commands, serving high risk search warrants, serving high risk arrest warrants, crowd control and assisting other agencies during critical incidents. 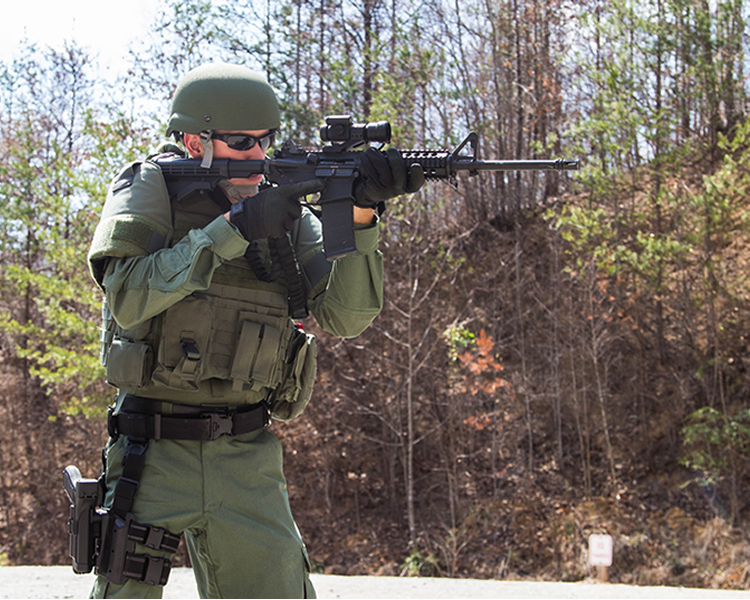 Assigned members of the Unit are trained in specialty equipment and tactics which relate to these extra duties. 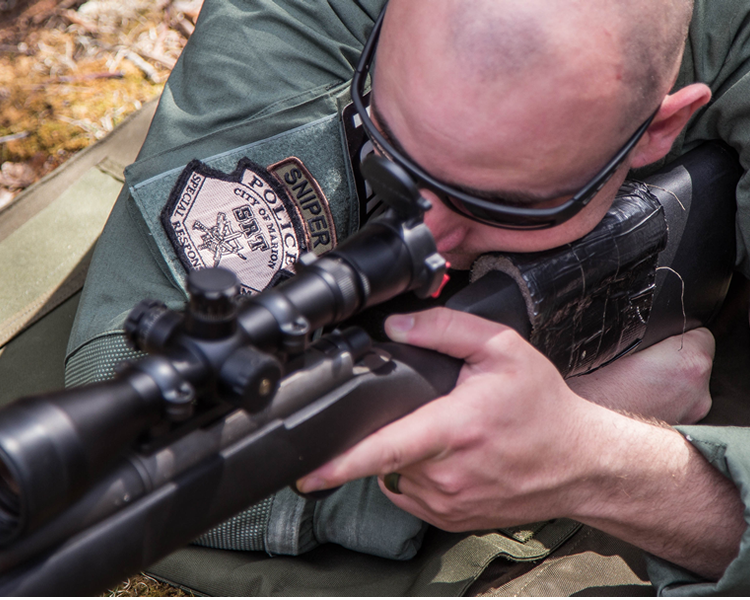 The Team is composed of Tactical Operators, Marksman Observers, Medics, Crisis Negotiators and Commanders. The unit trains once a month which consists of handgun, sub-machine gun and long rifle drills to improve accuracy and weapon manipulations. 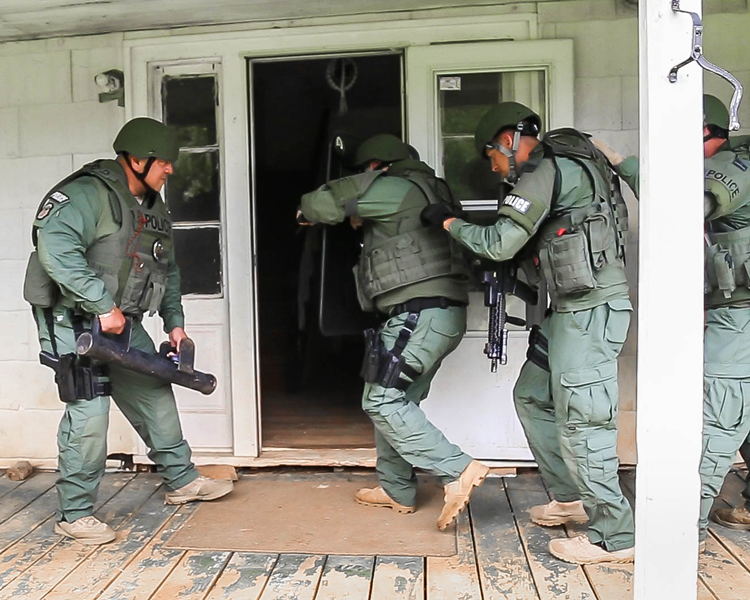 Other areas of training consist of defensive tactics, room and building clearing techniques, arrest tactics,chemical agent deployment, team movements, crowd control, rappelling, land navigation, and breaching techniques. In addition to participating and excelling in the yearly training, SRT members must maintain a high level of fitness. Variances of physical training are included in each training session; however, each SRT member must pass a rigorous physical fitness qualification test once a year. 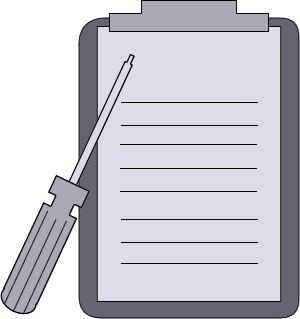 The test consists of a wide variety of job specific tasks which must be completed within a pre-determined time.